On a warm August day in 2008, at the busy Helsinki Kauppatori, I was on the hunt for affordable souvenirs that the kids could bring home to Canada. 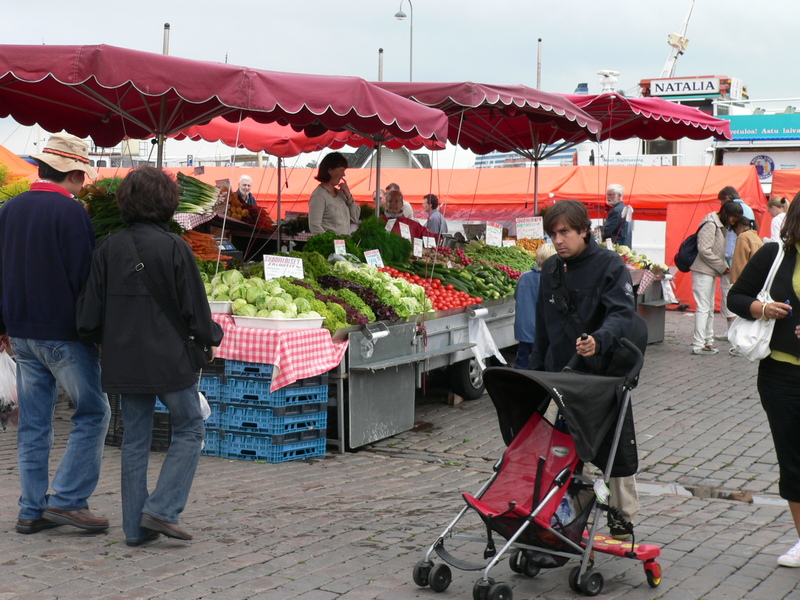 I searched with my stepson, up and down the crowded aisles of the outdoor sea-side market. The stalls on either side displayed reindeer leather bags, hand-thrown pottery, watercolour seascapes, and silver and spectralite jewellery —all either unaffordable or uninteresting to a 13-year old boy. Finally he spotted a display of pendants – leather thongs, each one bejewelled with a tiny preserved seahorse. For the equivalent of two Canadian dollars, the boy could sport a real seahorse specimen, dried and shellacked into a plastic hardness that presumably gave it a bit more durability than its own dried skin. I’m usually vigilant to signs of animal exploitation, but my radar was apparently off this day. Maybe I was in a rush on our last day in Scandinavia, to find something the he liked and could afford. Maybe I was thinking of the seahorse more like an abandoned sand-worn sea shell or found rock —an inert object to be added to a collection. Maybe my inner horse-girl was captivated by the tiny arched neck and delicate flaring nose. In any case, at my urging he happily bought himself a seahorse necklace. Since then I have done a lot of reading and writing about seahorses and I am struck by how vulnerable they are. Here is a creature that possesses neither fight nor flight. It lives in shallow easily accessible waters. And it tantalizes us with its near-perfect resemblance to a mythological being in such a way that it hints at possessing magical powers. And it is these attributes that put the future of seahorses in jeopardy. Seahorses are the perfect product for marketers of potions, curios, and tonics. An animal so plentiful and easy to harvest, that it is treated no longer as a living part of an ecosystem, but as a craft supply like plastic beads and pipe cleaners. Reduced to an endless shipment of desiccated carcasses to be fashioned into keychains, necklaces, and paperweights, over a million seahorses a year lose their lives to tourist dollars. 300 fresh seahorses produces 1 kg of dried seahorses. That we even know this number says something of the plight of these animals. Global trade in seahorses is conservatively estimated at about 30 million animals per year. 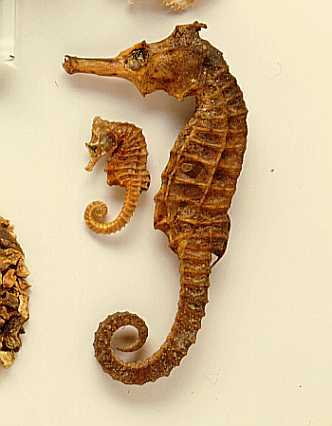 From 1998 to 2007 between 16 and 40 million seahorses were exported from Southeast Asia alone; nearly all were wild-caught and traded as dried specimens. In 1998 it was estimated that 20 million seahorses were being killed each year for their alleged curative powers in Chinese traditional medicine. That number is thought to have increased 10% per year since then. 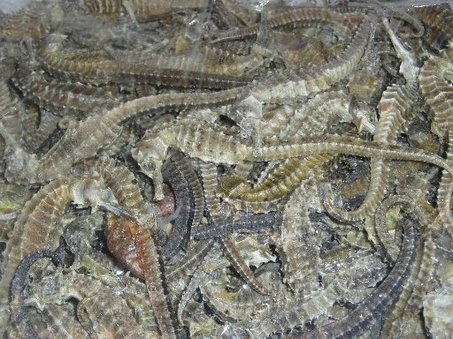 The majority of seahorses sold dry are landed as bycatch from shrimp and prawn trawlers. In Vietnam, for instance, 6.5 tons of dried seahorses (2.2 million seahorses) were taken annually as bycatch by trawlers operating out of five coastal provinces. Today our dried seahorse hangs on my office wall. Each time I notice it, it silently reminds me that even I, a person who thinks of myself as mindful and rational when it comes to the creatures I share this earth with, sometimes forget myself. But now, armed with new knowledge and awareness, I take a closer look. It is a male. Had he lived, he would have supplied the sea with many hundreds of offspring. But now, even dried and hardened by shellac, he feels fragile in my hands. Educate yourself. 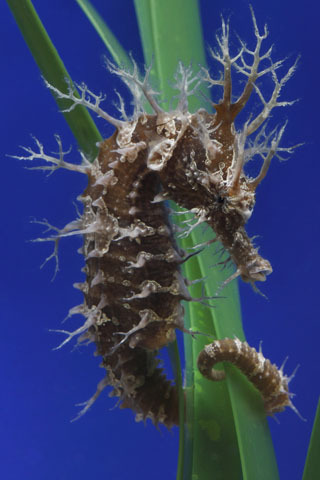 Understand that the seahorses you see for sale, were probably taken from wild sources. These were living animals, not empty shells. Keep in mind that dried seahorses from “seahorse-farms” are still dead seahorses. While the companies may state that the dried specimens are a natural outcome of raising fish-tank specimens, the number of “natural death” seahorses is suspiciously high, especially when some of these companies are able to supply large batches to retailers. Support Project Seahorse, the leading organization for research and protection of seahorses and their environment. The program was co-founded and is directed by Dr. Amanda Vincent, seahorse research pioneer and currently the Canada Research Chair in Marine Conservation. This absolutely lovely little book is a natural history lesson in seahorses as well as an examination of human’s long and sometimes enchanted fascination with these magical creatures. I highly recommend it. *10/29/11 changed link to Alibaba. Previous site no longer online. Great post Kimberly! Thanks for choosing the seahorse as your icon for World Oceans Day. Its so important to spread the world about the plight of seahorses. Thank you, Helen, for you kind comments. One of my favorite things to do is to stand at the seahorse tank at the Toronto Zoo and explain seahorses to children. They ask such great questions!